Community 1st Oldham provides continuous support to talented young people in Oldham and was proud to display the work of arts students from Oldham College in a beautiful new mural near the entrance of Royton Health and Wellbeing Centre. Art students from The Oldham College were involved in a project sponsored by Community 1st Oldham and NHS Oldham to produce concepts for artwork based on the theme of ‘Movement’. These ideas were turned into the mural installed at the internal atrium space as an inspiring addition to the building for patients and visitors to enjoy. Neil Charlesworth, General Manager of Community 1st Oldham, said: “We are delighted to have worked with The Oldham College on yet another project which highlights the creative talents in Oldham and would like to say special thanks to the students and staff from the Creative Arts Department of the college”. 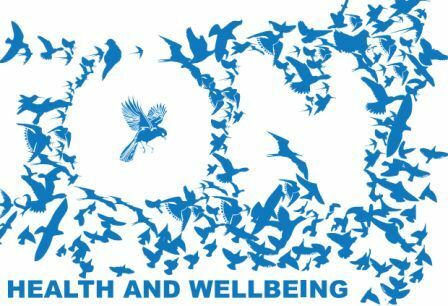 Community 1st Oldham aims to engage members of the local community in all LIFT developments. 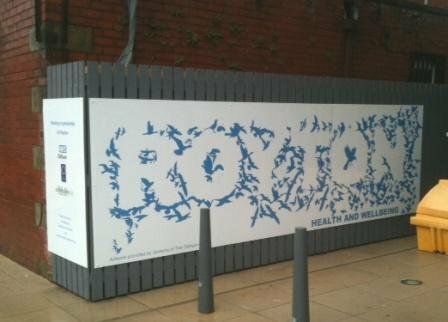 The artistic mural at Royton is one of many other creative projects to involve talented students and artists in making health and wellbeing centres inspired places for community use.